West Australian senior Ian McPherson made it two national titles in the last three years with a dramatic victory in the 2015 Australian Senior Matchplay Championship played at the Coolangatta Tweed Heads Golf Club. This year’s field was the strongest ever assembled for the national matchplay championship with twenty-two of the top twenty-five players on the Australian Senior Ranking table competing. 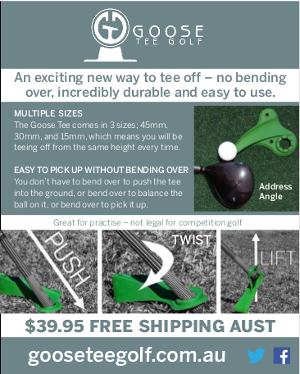 Using the excellent West Course at the Coolangatta Tweed Heads complex the winner would need to survive five rounds of top level matchplay golf. Round one began in beautiful sunny conditions. This was the first time this prestigious tournament had been played in June and the many interstate players were enjoying the warmer Queensland weather of the northern state. The main surprise from the Round One matches was the defeat of Stefan Albinski (three times Australian Senior champion) by Queenslander Trevor Box. Box only made it into the field after a late withdrawal and in an impressive display was well under par in winning 4&3. Leading New Zealand senior Michael Barltrop opened his quest for an Australian title with a good 4&3 win over Ross Banks. The round two matches were played in the same perfect weather and with some very interesting matchups it was hard to predict the winners. The top match between number one seed Victorian Barry Tippett and the highly rated West Australian Trevor Hughes was a close affair before Tippett won on the seventeenth hole. 2013 champion Ian McPherson battled all day with Victorian Greg Rhodes with victory finally coming to McPherson on the last hole. The surprise round one winner Trevor Box continued in his giant killer role, again finishing under par in a devastating 7&5 win over Victorian Mick Streit. Long hitting NSW newcomer Mark Pearson came from 3 down with 4 to play to eventually edge out WA senior Martin Minogue on the 21st hole. Round three is the quarter finals round with the top eight players now competing for a place in the semi finals. The 2013 matchplay champion Ian McPherson kept his hopes alive for a second title with a 3&1 win over the 2014 runner-up Barry Tippett. NSW player Sal Ballard won his match against Queenslander Steve Toyne on the last hole and he would now play McPherson in the first semi final. He wasn’t even in the field on Friday but no one told Trevor Box he was a long shot to win the title and he made it to the second semi final after defeating Mark Pearson at the 19th hole. Box would face up to Vince Clark (NSW) who was impressive in defeating the Kiwi champion Michael Barltrop 4&3. After some beautiful Queensland weather for the opening rounds the semi finals were a mixture of rain, postponements in play with greens under water, umbrellas up and down, wet grips, soggy greens and then more sunny conditions interrupted by some heavy showers. Nothing this field of senior golfers hadn’t experienced before and they played on accepting the challenges. The first semi final saw two of the oldest competitors in Trevor Box and Vince Clark doing battle. In a high quality match it was the giant killer Box who made it through to the final with a 3&2 victory. ?The second semi final saw Ian McPherson playing strongly and he led Sal Ballard by two holes when play was postponed due to failing light. The players resumed early the following day with McPherson moving through to the final against Box. The final proved to be a match worthy of the Australian Senior Matchplay title. Trevor Box continued his wonderful form with some great early golf to open up a 3-hole lead. McPherson kept plugging away and gradually worked himself back into the match. On the sixteenth tee he was just one hole behind. A close finish looked likely but no one knew how close it would eventually be. When McPherson parred sixteen the match was all square but then Box immediately won seventeen to take back his one hole lead as they headed to the eighteenth. Both played the par five well and when McPherson missed his birdie putt Box needed to hole a four footer for his par and the title. It slipped past the right edge and the match was all-square and for the second successive year the title was extended into extra holes. Both played the par five nineteenth well with McPherson closest to the hole after a beautiful wedge approach. When Box holed out for par McPherson needed to hole his birdie but it slipped past the hole. Up the twentieth and another halved hole after Box had missed a five footer for the win. The twenty first hole is a long par three and both missed the green but with a beautiful chip and a great bunker shot they made their pars and moved on to the next. The twenty third is a long par four and the players needed their hybrids for demanding second shots. McPherson found the green but Box missed right. He chipped to six feet and waited for McPherson to putt. His aggressive birdie putt went well past and he missed the return. Another chance for Box but he too sat on the edge. Another hole to play – the par three sixth. McPherson played a sensational iron to eight feet but this was then matched by Box who was just a foot longer. A sizeable crowd was enjoying the golf and feeling the pressure that continued to mount. Box putted first and watched a very good putt just slide by. McPherson studied the line and with a firm stroke knocked his birdie putt right in the centre. The crowd cheered and McPherson had his second Australian Senior Matchplay title. The only time he had led all day was after twenty-four holes. For Box it was a great tournament but one that very easily could have been just that little bit better. Well done to both players. In the play off for the bronze medal Vince Clark edged out fellow NSW player Sal Ballard on the nineteenth hole after both players had produced some excellent golf. It had been a wonderful week of golf on a championship course. Congratulations and thanks were justifiably made to the staff at Coolangatta Tweed Heads Golf Course. The course was presented in excellent condition and when the wet weather arrived they worked hard to make sure the course was very playable. Cameron Vincent and Adam Power from Golf Australia ran their usual first rate national championship and this helped all players enjoy their week. It’s on again at the same course next year! 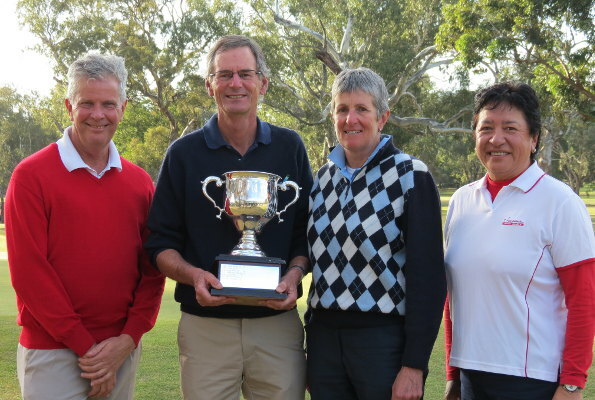 The 2015 NSW Senior Order of Merit competition continued with three prestigious events played in late June. 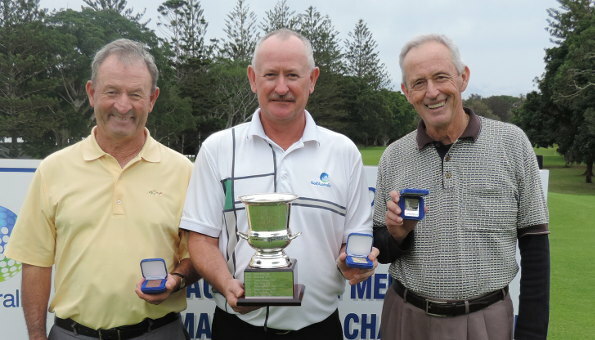 The Manly Seniors attracted one of the strongest fields of the year with many of the state’s leading seniors taking this opportunity to play on the course that will host the 2015 Australian Senior Amateur Championship in September this year. The course setup ensured Manly played at its hardest with the back tees being used and some very testing pins – a real test for the quality field. The winner was Mona Vale senior Stefan Albinski with an excellent round of 74. He edged out senior golf newcomer Ken Brewer from Concord who returned a round of 75. Graeme Howland and Denis Dale were next finishing in a tie for third place. Dale was the winner of the Over 65 section. The Oatlands Seniors followed the day after the Manly Seniors with another good field enjoying a round on the picturesque course, often described as “the best par 70 in Australia”. The defending 2014 Senior Order of Merit champion Denis Dale (Twin Creeks) notched his second win of the season with a solid round of two over par 72. He won by four strokes from Mark Stannard (Oatlands) and ACT senior Christopher Winslade who made the journey from Yowani a worthwhile one. The Pymble Seniors is always a much-anticipated event and the field was again rewarded with the championship course presented in tiptop condition. 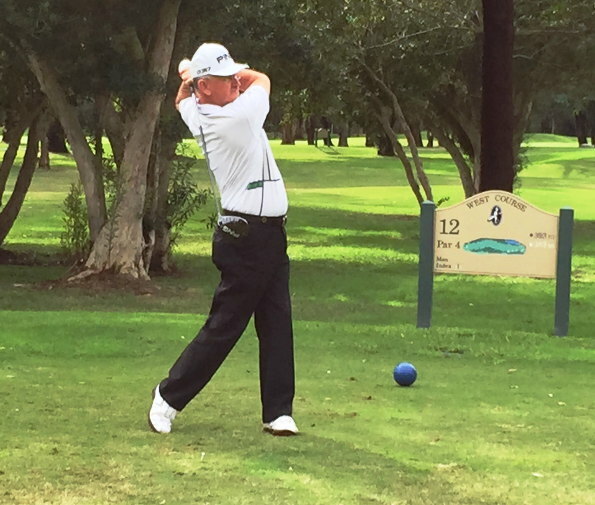 NSW Senior Order of Merit newcomer Ken Brewer (Concord) recorded his breakthrough senior victory. 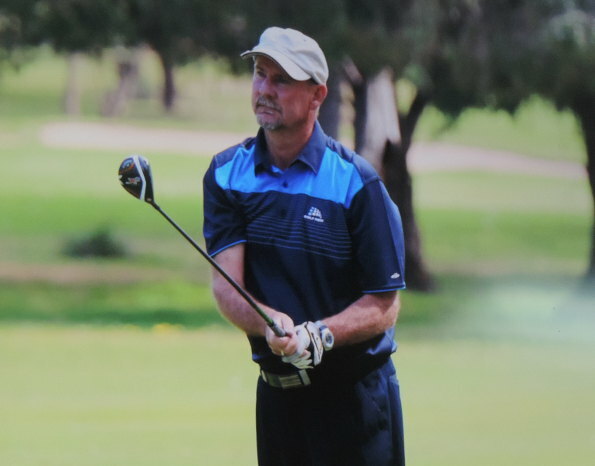 Brewer posted a score of 2 over par 74 to take out the event by a single stroke from the well-known and top-level senior golfer Richard Greville (Avondale). Mona Vale’s Greg Stanford maintained his solid run of form finishing in third place with a score of 76. With Brewer’s win coming from only three starts in senior ranking events he is definitely a player to watch in all future tournaments. With half of the events now complete the NSW Senior Order of Merit competition is looking like a tight finish. Bayview’s Dale Tapper has moved into the lead and with 1116 point he leads from Long Reef’s Ross Bockman (1020) with Greg Stanford (Mona Vale) next on 990 points. Kogarah senior Steve Musgrave holds a commanding lead in the NSW Handicap Senior Order of Merit with 1113 points from his fourteen events. Links Shell Cove senior Graham Leake is next (777 from 11 starts) just ahead of Windsor senior Robert Lewis (721 from 13 starts). The Doug Bachli Trophy (scratch) and Paul Lulofs Trophy (handicap) Order of Merit competitions continue and at the end of June there have been twenty-one events completed. The 2015 Heathcote Senior Amateur was played over 18 holes with a quality field of 61 players taking to a course presented at its finest for the players, despite lower than average Autumn rains. Luckily the players had a relatively calm day with the sun making a welcome appearance. Gordon Claney prevailed as the 2015 Champion, after the Kingston Heath member and the current top ranked senior golfer in Australia returned a neat 74 around the par 71 layout. Claney cruised around his opening nine with a more than respectable two over par 38 before finishing one over on the back nine to total three over par. In second place and two shots behind was The National’s Guy Krall on 76. Familiar face Helen Pascoe from Buninyong Golf Club scored a fine Scratch Stableford score of 31 points to triumph in the main women’s event, edging out Tocumwal’s Bobette Wilkinson who scored 27 points. In the men’s handicap section, it was Tocumwal’s Phillip Nunn who took out the major prize with a round of 71 from his handicap of 8. Nunn defeated Hill Top’s John Fanning and Yarram’s Ignatius Duivenvoorden after a three-way countback. Following straight after Heathcote was the 36-hole Shepparton Senior Amateur that began with cloudy skies and some light rain that rolled across the Goulburn Valley for the majority of the day. The course was in its best condition for some time and it proved to be quite a test of skill for all who took to the fairways. After the opening round it was Guy Krall leading the charge after The National member carded a three over par 75. Chasing Krall was Chirnside Park’s Ray Walker, only one shot behind on 76. Having just claimed the Senior Heathcote title Buninyong member Helen Pascoe was again on top of the leader board after a scratch Stableford round of 30 points and a good lead over nearest competitor Bobette Wilkinson (Tocumwal). Misty rain for the early part of the morning meant low scoring wasn’t an easy task for the players as they began the final round. The overnight leader Guy Krall played solid golf all day to finish with a two round total of 151 (75-76) and this was good enough to claim the championship. 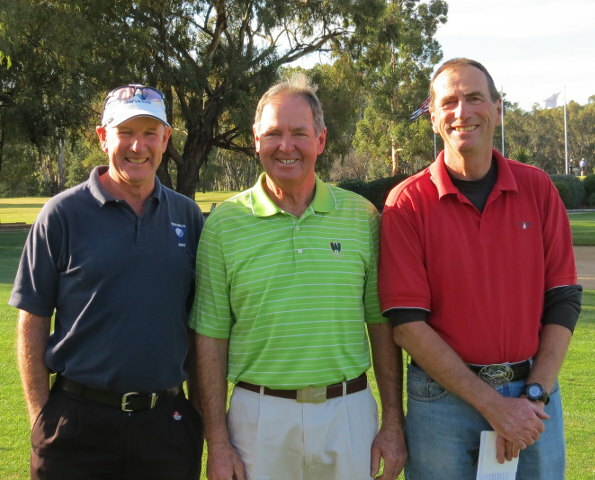 Second place went to the always reliable senior Ray Walker (Chirnside Park) who finished three shots back on 154. Christopher Mansour (RACV Cape Schanck) shot rounds of net 70 and 75 to win the handicap title by a single stroke from Shepparton’s Peter Junor. Helen Pascoe successfully defended her 2014 title in winning the Women’s Shepparton Senior Amateur Championship posting very good scores of 30 and 32 scratch Stableford points. Runner up was Heather Harley (Kooringal). Two days later a wet President’s course was the venue for the opening round of the Tocumwal Senior Amateur at the Tocumwal Golf Club, which is nestled along the Murray River. Players endured heavy rain for the first half of their round before the skies eased up and provided some relief from the cold conditions. Despite the difficult conditions there was some great scoring from the leading players in both the men’s and women’s fields. Chris Tatt from Buninyong was the round one leader after a round of four over par 76. He held a one stroke lead over George Kotaridis (Kew) with another stroke to Ian Frost (Bendigo) and Greg O’Brien (Albury). Helen Pascoe moved closer to a trifecta of wins for the week of golf posting a Scratch Stableford score of 27 points to lead regular rival Bobette Wilkinson from the host club. The final round was played on the Captain’s Course showing almost no sign of the rain that fell yesterday. The overnight leader Chris Tatt (Buninyong) gave none of his followers a chance recording a great round of even par 72 and a 36-hole total of 148. Tatt was in fine form over the two days, making the wet conditions look easy in round one and even easier when the sun came out for the second round. Ian Frost (Bendigo) matched Tatt with an even par round of 72 but eventually finished two strokes behind the winner. This was another runner-up position for Frost who had finished second in this event in 2014. Helen Pascoe completed a great week of golf winning her third title after rounds of 27 and 26 scratch Stableford points. Pascoe had earlier claimed the titles at Heathcote and Shepparton.